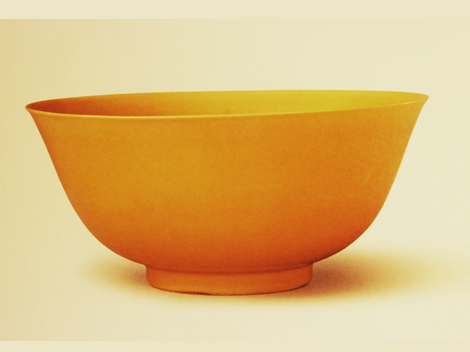 This yellow bowl was produced in the Ming Zhengde years. The color yellow enjoyed special status in China; it was the most prestigious color. It could be used only by thej imperial family, and its use was tightly controlled.